Welcome to the Hawaii Gay Flag Football League. Our mission is to promote the positive social and athletic enjoyment of flag football to the LGBT community and beyond. Our 2019 Season takes a break during Easter weekend and returns on April 27th with our first double-header weekend. We’re thrilled to present our 2019 sponsors. Click on the logo for more information about them. Below are links to photos, news and info from the Hawaii Gay Flag Football League. 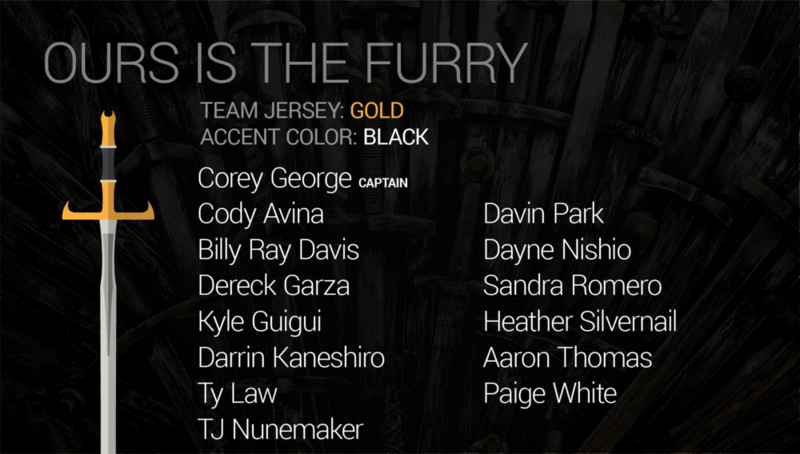 Our team name theme for 2019 is Game of Thrones - more like Game of Throws! Any pun, innuendo or snark-worthy phrase related to the HBO series was viable. 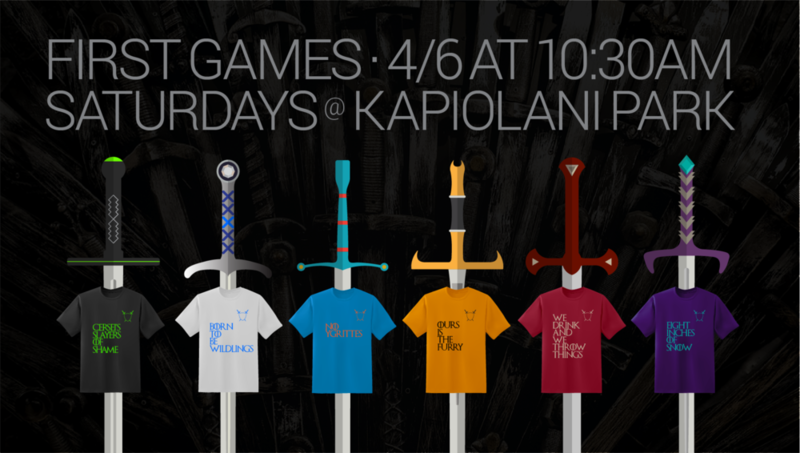 In honor of the 8th and final season of GoT, we give you the SIX TEAMS OF THE 2019 HIGFFL REGULAR SEASON. For players, stay tuned and await further instruction from your team captain (they have your info). The team schedules will be released soon. © Hawaii Gay Flag Football League, 2012 – 2019. All rights reserved.